Welcome to Grafton School at Springfield Colony! The Springfield Hutterite Colony, home to Grafton School, is a community of 112. 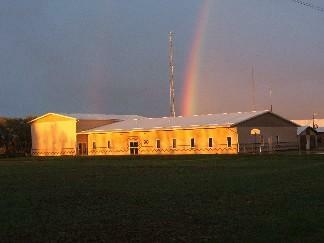 The colony farms over 7200 acres, manages a 550 sow hog operation and keeps 500 laying hens. One of the major non-farming operations of the colony is the Springfield Woodworking Ltd., producing high quality kitchen and bathroom cabinets for customers.